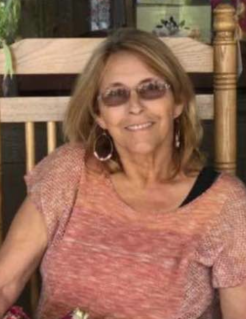 Betsy Ann Barbour, 61 of Benson, passed away on Sunday, August 26, 2018. Ms. Barbour's memorial service will be held on Thursday, August 30, 2018, at Redemption Hill Church of Erwin at 6:00 pm. Officiating will be Rev. Sean Bass. A visitation will follow the memorial service at the church. Ms. Barbour is survived by her daughters, Amanda Bass of Newton Grove, Shana Worrells of Benson, son, Sean Bass and wife Carla of Dunn, sisters, Debbie Barbour, Janice Barbour, Sandy Barbour, Pamela Barbour, brothers, Chester Jr. Barbour, Charles Barbour, Bobby Barbour, Terry Barbour, and nine grandchildren. Ms. Barbour is preceded in death by her parents, Chester Barbour Sr. and wife Estelle. Memorials may be made to West and Dunn Funeral Home of Erwin, NC.